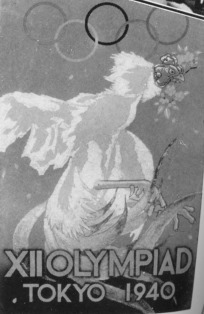 Together with the publishing of the " Olympic News," the designing of posters, marks, and seals was considered to be the important work of the Publicity Section. 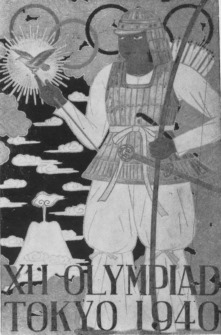 With the co-operation of the Union Japonaise des Artes et des Sports, it was decided that various designs for the posters, marks, and seals be chosen by conducting prize contests. 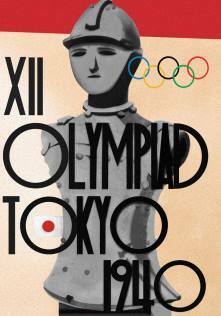 The designs submitted totalled 102,113 and the winner of the first prize chosen as the result of the final decision on July 5th was Mr. Taiji Hiromoto. 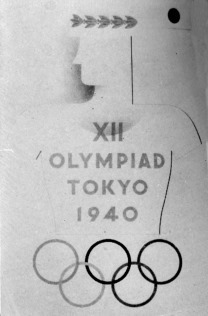 The winning design was selected to be the Official Olympic mark. 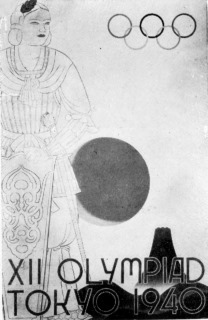 Due to minor opposition to the first selected poster design, the Publicity Section requested Mr. Sanzo Wada to draw a design for the poster of the XIIth Olympic Games and Mr. Usaburo Ihara to design the poster for the Winter Games. 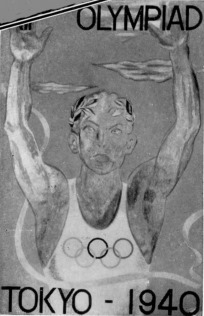 The official seals and marks, letter heads, envelopes, and flags were registered at the patent office for the exclusive use of the Olympic Organizing Committee.